pretty.pretty.paper: Tree, we have a tree. This has got to be some kind of record for us. Normally we talk and talk and talk about getting a tree and normally it happens about a week before Christmas. Which is fine, but our schedule this year would not allow such things. 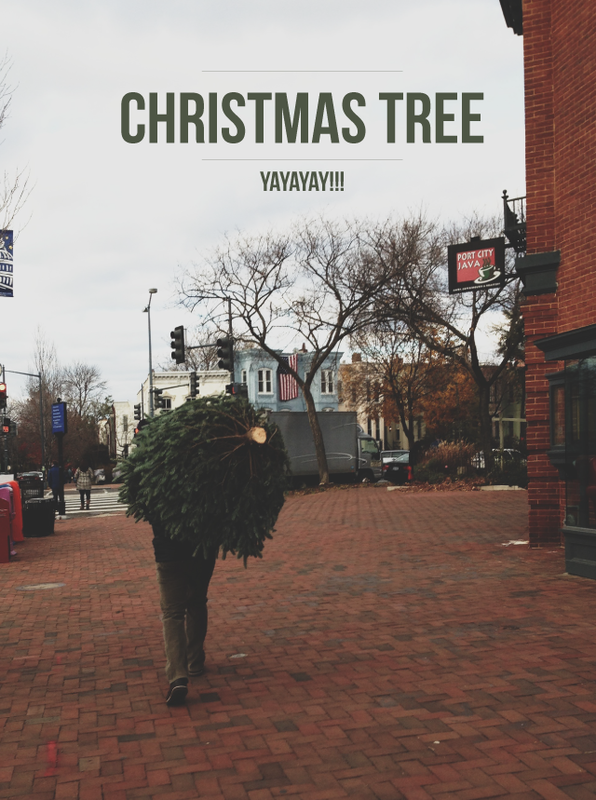 So over the weekend we walked down to Eastern Market and snagged a 6 ish foot bundle of smell good Christmas tree. Like last year, MAS carried it home, it's becoming our DC tradition. I'm pretty sure MAS likes walking the five blocks home the most. He never gets covered with sap OR ruins jackets. Inspirational blog post, I really liked your information. I’m going to give you an idea about my friend and ask them what they think about this.